Before Spring break the 5th Grade Art classes learned about 8 different watercolor techniques that they used in an Art project. The students started out by creating a grid of letters from their first name. 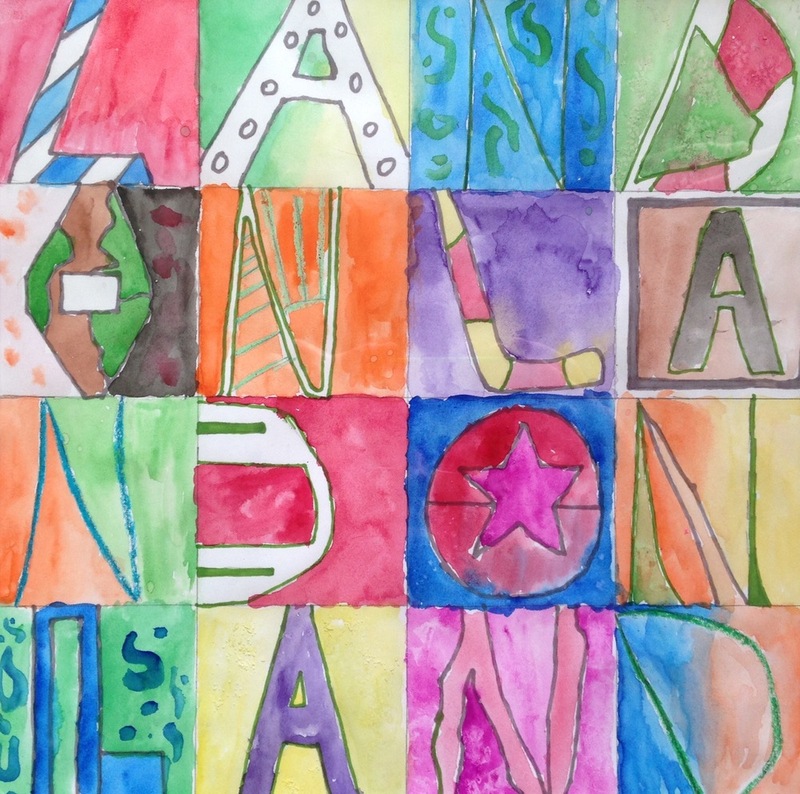 Students then filled the negative space around their letters with the 8 watercolor techniques. Mr. Keiser has selected Landon Miller from 5F as the next featured artist. Landon showed great control and discipline with his brushwork. He kept the watercolor paint soft enough to let the natural glow of the paper come through and executed each of the techniques wonderfully. He also showed great creativity in the design of his letters. Awesome work, Landon!